Paying more is a pain. From rent to Valentine's Day roses, you feel like you're getting squeezed. On Wednesday we learned that we got squeezed a little more: Prices for all goods rose 2.1% in January compared with a year earlier. 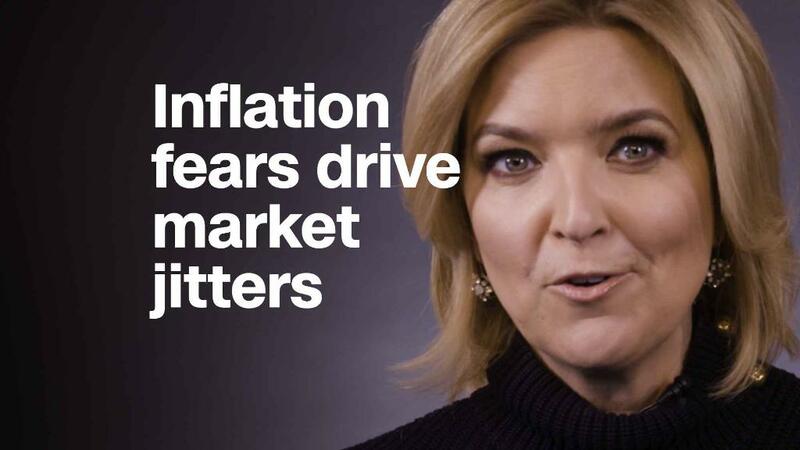 It sounds like splitting hairs, but that's a big difference from 0.1% inflation in 2015. So prices are going up, but it's actually good news for you — at least right now. Rising inflation means that paychecks are getting fatter, too. In January, average hourly earnings rose at the fastest rate since 2009. About a third of small businesses in America say they're paying employees more, the highest share since 2000. Americans on average made $26.71 an hour in January. A year ago, the typical American made $25.99. Even after adjusting for inflation, workers are making a little more than they were a year ago. And wage growth should pick up even more this year. Like a tugboat pulling a tanker, higher wages bring up the cost of everything else. But the average American can comfortably handle the typical price hikes we're seeing now. A little inflation is good for the economy. The trick is keeping it in the safe zone. Wages and prices are like the Goldilocks fairytale: You don't want them too hot or too cold. Lately they've been too cold. Obviously, if they shoot up -- like those Bruce Springsteen concert tickets -- that's not good, either. Federal Reserve officials believe the sweet spot is about 2% inflation and 3% to 3.5% wage growth. We're close. Flat wages are a major reason many Americans have felt left out of the recovery from the Great Recession. Yes, unemployment fell and millions of jobs opened up. But Americans weren't making more money. But a few factors are boosting wages this year. 1. Companies are hungry for workers and willing to pay up. That's a sign of how strong the U.S. job market is. 2. Several states raised their minimum wage at the beginning of the year. Not only is that raising wages for folks at the bottom, but it also boosts wages for workers with paychecks hovering just above that threshold. 3. The GOP tax cuts should put extra cash in Americans' wallets. 4. The tax cuts also led some companies to hand out raises. Other corporations gave bonuses, but those aren't counted for wage growth — though no doubt a bonus helps. Let's be clear: This inflation-wage growth love story could easily go off the rails. For example, if there were a sudden shortage of oil in the world, gas prices would rise sharply, wages wouldn't keep up the pace, and you'd start feeling the pain at the pump. Thankfully, we have plenty of oil. A gallon of gas is $2.56 today. Back in 2008, it was $4.11. But everyone's situation is different. Rent prices are eye-popping from New York to San Francisco. The cost of college is astronomical for many. Bacon — no, seriously, bacon! — is getting more expensive. And those Bruce tickets cost a fortune. For now, price hikes shouldn't be a big concern. It's good news for Main Street: We're getting paid more. Finally.